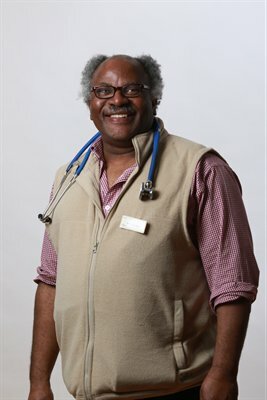 The Archbishop of York, Dr John Sentamu, will be visiting West Cumberland Hospital next week to open the stroke unit in the name of Professor Olu Orugan, (pictured below) former stroke consultant in West Cumbria, who sadly died last year. As part of his visit, the Archbishop is hoping to meet, greet, and encourage staff and patients at the West Cumberland Hospital. Professor Olu Orugun was a much revered consultant at the Trust and is sadly missed by all who knew him. Olu worked tirelessly to improve the health of the people of Cumbria and the staff who worked with him wanted a lasting legacy to remember his hard work and dedication. The Archbishop is in Cumbria for the four-day mission entitled Moving Mountains.. This is an ecumenical mission from Thursday 8 March to Sunday 11 March involving the Church of England, the Methodist Church, the Salvation Army and the United Reformed Church with hundreds of local events taking place. The Archbishop will arrive at 5pm on Friday 9 March. There will be opportunity to meet and chat with him from around 5.30pm in the Costa Coffee area of West Cumberland Hospital. “This is a huge honour for the Trust and it’s fantastic that the Archbishop is making a visit here. I know he is keen to speak to as many staff, patients and visitors as possible so please make yourself known to him. “People who come into hospital for treatment can be facing huge changes and it’s important that the chaplaincy team is there to offer support to complement the brilliant medical work and offer a listening ear to peoples’ problems or anxieties." “Professor Orugun worked tirelessly to better the health of the people of Cumbria and was a real ambassador for the Trust. He was a much respected consultant and was liked by everyone he came into contact with. He was hugely popular with staff and patients and the work he put into the Trust will be a lasting legacy to the people of west Cumbria.